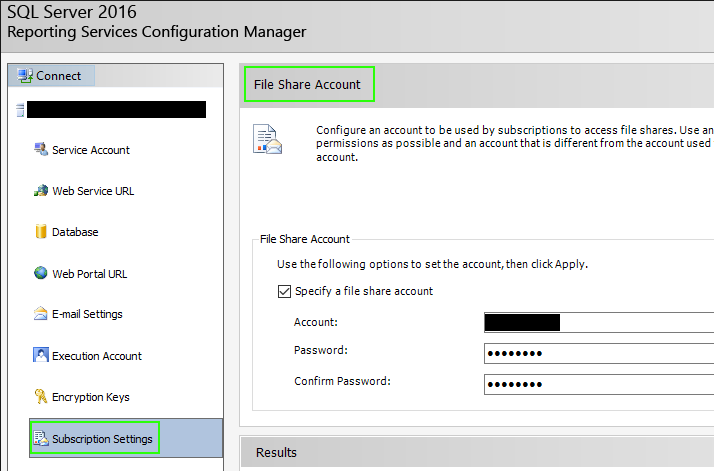 Use the Subscription Settings page of the Reporting Services Configuration Manager to configure a file share account for Native mode report servers and file share subscriptions. The file share account allows you to use a single set of credentials in multiple subscriptions that deliver reports to a file share. 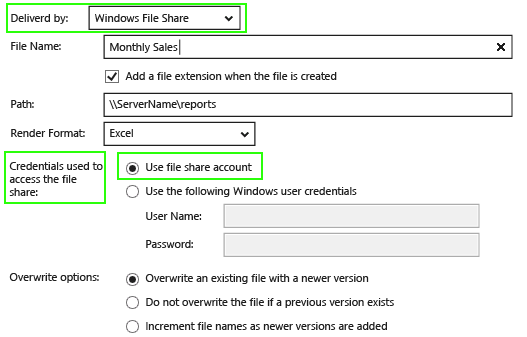 When it is time to change the credentials, you configure the change for the file share account and you do not need to update each individual subscription.